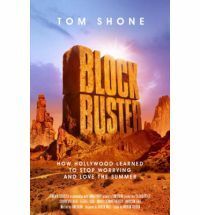 Blockbuster, by British film critic Tom Shone, gives us one movie-loving man’s answer to that perplexing question. It covers a period of Hollywood history from 1975-2003, and examines the birth and consequence of the blockbuster film phenomenon. If the online critics of this book are to be believed, a scattering of factual errors render it unreadable, dishonest and a waste of both time and money. Respectfully, I disagree. The errors are unfortunate – I might even go so far as to say the author has been slipshod in that regard – but nevertheless, I was delighted by Blockbuster. I’m a huge of fan of film and tv drama. I’m also a huge fan of books written about the chaos and mayhem of creating film and tv drama. At one point I even flirted with the notion of working in one of those industries, but quickly realised it would be a mistake. I don’t really do creating by committee. The people who survive and thrive in those arenas will forever have my admiration. One of the reasons I love these nuts-and-bolts, behind the scenes ‘making of’ books is because, I guess, misery loves company. The creative life is both a blessing and a curse and there is a real delight in recognising my own trials and tribulations in the stories told by and about other creative survivors. In that respect, Blockbuster made me laugh and groan and roll my eyes. Shone also poses some interesting answers to that perennial, perplexing question: What were they thinking? I don’t want to pre-empt the book, but I will say this – money has a lot to do with it. Also the overtaking of the studios by people who love the deal, not film, not storytelling and who, in the absence of any restraint, have helped escalate the cost of film-making into death spiral territory. They’re not the only ones, of course, but they’re a big part of the problem. Unravelling that tangled knot makes for fascinating, and sometimes horrifying, reading. As a writer, I find studying the processes and experiences of other creators immensely educational. There are many parallels to be found in the life of a new director and a new writer, and our shared experiences as we make the transition from aspiring to achieving. There are consequences to that, and Shone does a great job of exploring those consequences and what their knock-on effect often is. He also does a great job of analysing some big name films, both hits and misses. His insight is acute, he’s wonderfully witty, and while reading his book I often had to stop so I could laugh and laugh and laugh … even as I was wincing. Here’s the bottom line. Movies are big business. And so is publishing. I recognised a lot of my business in this book, recognised the uneasy and often destructive impact of the marriage between creativity and accounting. It’s so easy, as a writer, to forget the business side of the business. Much in this book serves as a timely reminder of what can happen when self-reflection, self-restraint and the concept of bigger isn’t always better are dismissed as stupid notions. It also reminds us of the consequences when creativity is viewed as an unnecessary part of the creative process. Even though it was written a few years ago, Blockbuster is still a lively and relevant read today. I bought my copy online, where it’s still readily available. If you love books about film and Hollywood and the creative process, this one should be right up your alley. An astonishing look at the inception, rise and fall of Dreamworks Studios. I can’t tell you how many times I had to put this book down so I could wave my arms around in shocked disbelief, shrieking What? What? What? A look at the history of women in film and television. Sometimes uplifting, sometimes groanworthy, sometimes the cause of despair as I look around and realise just how far women in film and tv haven’t come (with, of course, some notable exceptions), this is a wonderful read. Students of film and gender will find it an absolute goldmine. One of the bravest and most insightful books on the writing of drama that I’ve ever read. Love him or hate him (and wow, some of the hate for Davies on the internet made my hair fall out, never mind curling it) Davies is one of the most successful writer/showrunners in television. His reboot of Doctor Who was an amazing achievement. In this book, which is largely a series of conversations between Davies and journalist Cook, we are given a truly amazing look inside the creative writing process, warts and all. The Writer’s Tale is a must read for writers, I think. Chances are most of you have never heard of Moss Hart. He was a playwright whose life was fundamentally changed by the success of his first Broadway play. This book tells the story of his life, both personal and professional. It’s entertaining, amazing, heartbreaking and inspiring. Reading books like this help me remember I’m not alone in this crazy writing game. This is simply a fabulous book about everything that can go and has gone wrong in Hollywood. There are so many lessons to be learned from these stories. Every writer should read this, and think hard about their own decision making processes. So much to love here. If you’ve ever dreamed about going to film school, you need to read it. If you’ve ever wondered how people get their breaks, how the system works, how success is never guaranteed even when you get your shot? Read this one. Simon is one of the most successful playwrights in history. He has a Broadway theatre named after him. In this deeply personal and courageous book, he lifts the lid on his life as a working playwright. Fascinating, inspiring and moving stuff. Bart has one of the best Hollywood pedigrees around. For many years he edited industry bible Variety. His experience and expertise can’t be beat. In this book, inspired by William Goldman’s exploration of one year on Broadway, he looks at the films released in the summer of 1998, providing in-depth, behind the scenes analysis of their making, release, success or failure. Fabulous read. This entry was posted in Reviews and tagged What I've been reading by Karen Miller. Bookmark the permalink.